The Best Love Advices You Can Get This International Women's Day -Wish you all the lovely ladies a very Happy International Women's Day! There is every reason for today’s young and independent women to celebrate! They are not anymore dependent on their partners and experience the freedom in every aspect of their lives, be it their professional lives or their relationships. Here are some of the important love and relationship advices that some inspirational women in our society share, which they gained through the years. There are times when the relationships go through a phase, which is full of confusions, and the life looks tough, then whom do you turn to? Usually, people look to the women who know them the best, from their grandmas to their childhood friends. Sometimes, you just need to share your situation with them and surprisingly, they will offer you some invaluable solutions to keep get the relationship back on track. Look at their confidence, they know us so well that they never take any time to come up with the solution and their words always sound accurate for the situation! Women close to us have undoubtedly been our role models when it comes to relationships and they keep us reminding that women are not weaker gender and also the importance of giving respect to our partners. Just have a look at the following article and see what you have learned about love and relationship from that special woman in your life. When people have fights with their spouses or partners, it is usually a hard time to come up with a viable solution, which does not harm anyone. You can easily share this experience with your mom or your close friend, who will obviously give you the best advice over this super sensitive issue. Although people usually suggest that these are personal preferences and not to share this with others, but the case is different if you have been fighting this issue with longs and want to share your feelings with someone you trust! Do not forget that you exist as an individual and yes, your life has a lot to do with how you feel and how well you tackle the issues prevailing! The experienced grannies always suggest that “Never allow a man to hurt you or give him the power to make you cry”. This is a mantra for a successful life for you as a woman. Be responsible for all your deeds and always try your best to maintain your self respect. If you are happy, everyone related to you will be happy. My grandmother has always quoted this line, and the principle does wonders for the relationships! The moms always suggest being the most important person in your partner’s life. Being indispensable is very important, and always tries to keep each aspect of your life in mind. At certain point of time, you need someone who understands your situation and acts as a mirror to show you the reality of the life without hurting you. Having clarity about the relationship is very important, and someone who doesn’t know you absolutely well can never bring this about. Expect this only from your childhood friend, your mother or your grandmother. You will be amazed to see how well they understand your feelings and your position, so it is high time you should dump a counselor, and find solace in the company of your most loved woman! Trust me, it works! 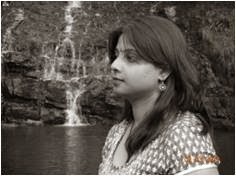 Author Bio: Rashmi Karan is a professional writer who writes about the relationships and matrimonial alliances. The Best Love Advices You Can Get This International Women's Day, very good matter that you Lina wrote, congratulations. Valter. Selfless as we are, yet we women should always know our worth and important and should not let anybody put us down or degrade us. Even though we are so busy as well, we should not forget also to spare some good time for ourselves. Loving ones self always mean being able to love the people more around us. I am gonna share this to my close friend we call her "suicide girl" from the name you can tell what she is. I hope to help her the best I can.